Right back atcha! And it would be really cool if you put up a post about the blog! Creepy pic...talk to the hand! Ha Ha, talk to the hand. Happy Halloween to you to Ananka! 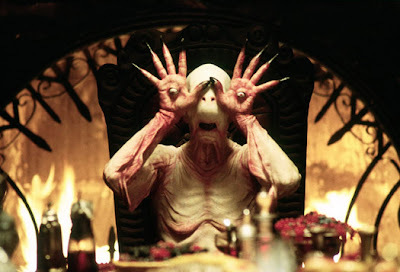 PALE MAN FROM PAN'S LABYRINTH!! I adore that movie. Happy H-Ween everyone! Ananka, did I ever tell you that you have an undeniable talent for giving me nightmares? Lucky, lucky me. Brava, once again. Freaky cool but picture!Happy halloween!